Mutually beneficial partnerships and collaborations are central to the success of the One Health concept. Our Ohio State One Health Task Force works in collaboration with individuals, groups, and organizations to maximize our impact. We believe that our partnerships should be mutually beneficial, improve lives, and make the world a healthier, happier, more productive place. We are pleased to share the list of internal and external partners involved in making One Health a reality. 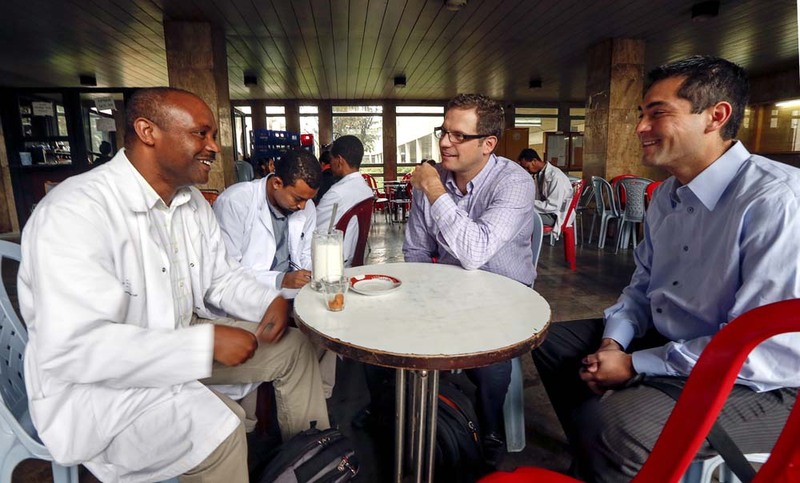 Partners from Addis Ababa’s Black Lion Hospital (left) and Ohio State’s College of Medicine (right).